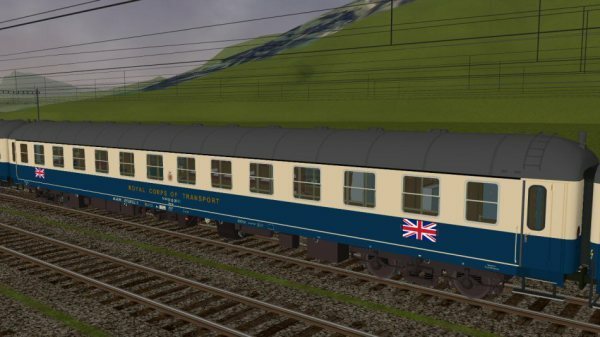 The first coach to be tackled was the Officers coach, as this presented the biggest challenges in terms of the wealth of bespoke underframe detail, but also the complete absence of any layout plans to allow the interior to be replicated accurately. Over time a number of recollections by serving Train Commanding Warrant Officers (TCWO) were obtained, supported by a handful of very rare interior photos taken on the occasion of the 10,000th Berliner run. An outline interior plan was thus sketched out but more "detective" work was needed, using glimpses of the interior visible on numerous external photographs, to arrive at a plausible layout plan (see History / Rolling Stock ). This was then used as the basis for the interior of this model, as well as the pending 1:87 scale model project. With the vageries around the interior sufficiently resolved, attention turned to the exterior and in particular modelling of the underframe equipment. The dimensions and overall arrangement of the numerous battery boxes, heating pipes, water pumps, fuel tanks, filler pipes and frames could only be approximated using the DWM works photographs from Joachim Deppmeyer. 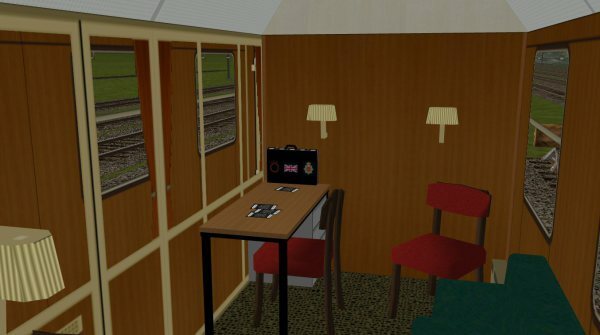 However, during 2015 it was discovered that one of the two Officers coaches was stored at the STAR museum railway in Holland, and although in poor external condition (and with a completley replaced interior) all of the original underframe equipment was still in place. Tom of the STAR Museum willingly provided a large number of detailed photographs of the coach, which was a great help in accurately modelling all of this equipment. While most of the lettering was to standard UIC format for DB coaches, some of the inscriptions unique to this coach were deduced from RCOT postcards, and detailed photos taken of the rolling stock by Thomas Linberg in Berlin and Mönchengladbach. Altogether this coach was one of the most difficult to research, but also one of the most rewarding models to build - it also marked a big step forward for my modelling methodology in MSTS , using much smaller textures and more detailed inscriptions than before. This helps performance in the simulator and renders the detailed lettering much more clearly. 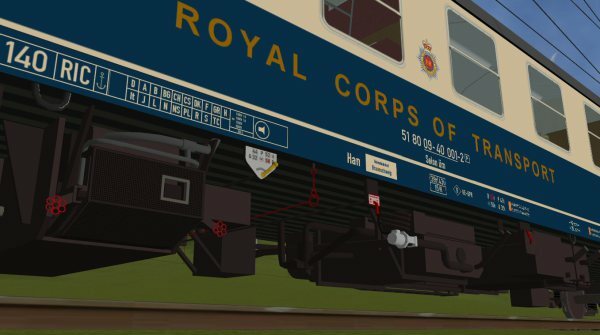 The screenshots below show the first completed version in DB ocean blue / beige, a second version is being worked on that will represent the coach in RCOT blue with black underframes. painted Union Jacks and Berlin Regiment flagboards. 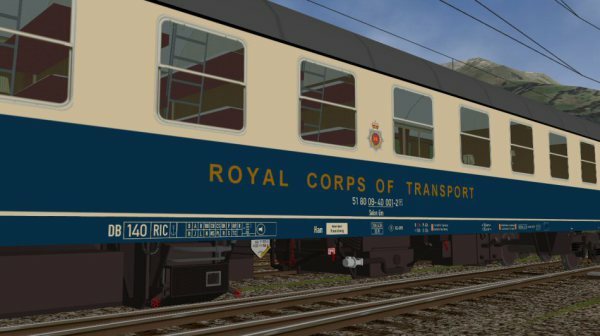 Following completion of the Officers coach, attention turned to the restaurant cars. A total of three were constructed, the earliest of which is now the only surviving coach of the Berliner, currently undergoing restoration in Hull. Having total access to the coach made it a very simple proejct to research, but the site visit to Fort Paull in October 2015 would become the inspiration for the restoration project, and for creating this website. 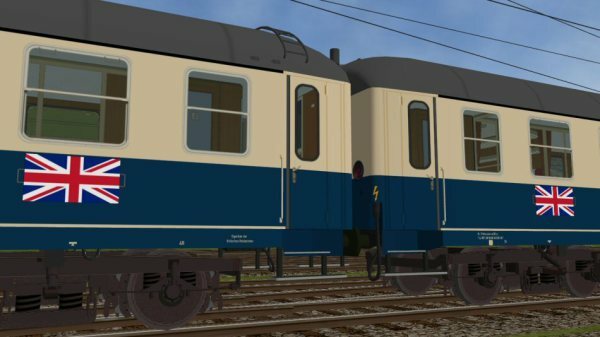 The 3D model coach is currently being worked on in TrainSim Designer, from whcih the following screenshot was taken - next steps are the completion of the interior and underframe equipment.